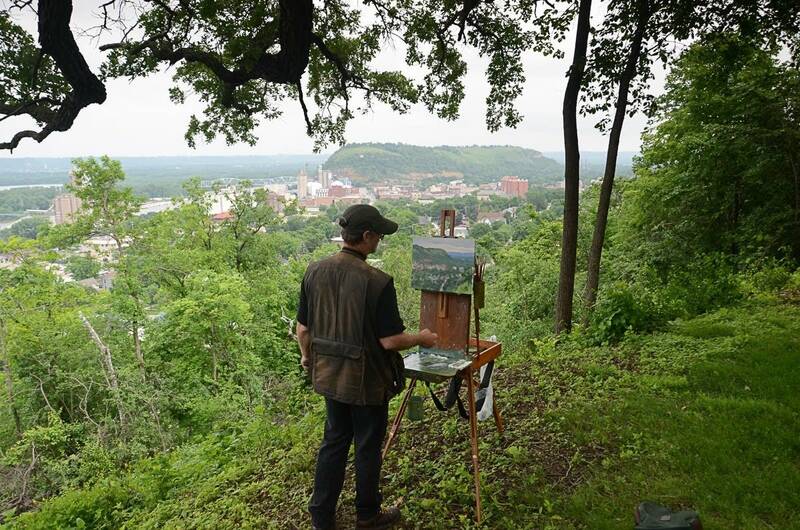 Plein air painters have descended on Red Wing, where they are capturing its riverfront charm and majestic bluffs. Sheldon Theatre Executive Director Bonnie Schock says she loves how the painters make her see the town in a whole new way. On Sunday the paintings will be judged and put in an exhibition at the Depot Gallery. On view through July 30. Dance teacher Brenna Brelie is looking forward to seeing "SHIFT," a tap dance performance with a twist. Choreographer Kaleena Miller created a new dance work, then asked four different composers to create music for it. Depending on which night you go, you'll hear a completely different score. Performances run June 22-25 at the Southern Theater in Minneapolis. Amateur musician Padma Wudali recommends heading to Hilde Amphitheatre in Plymouth tonight for "Maithree" (that's Sanskrit for "friendship"). Accomplished veena player Nirmala Rajasekar collaborated with several friends from different musical backgrounds. Wudali says the result — which combines veena, cello, clarinet and drums — is a celebration of cultural differences, and the beauty they can create together.